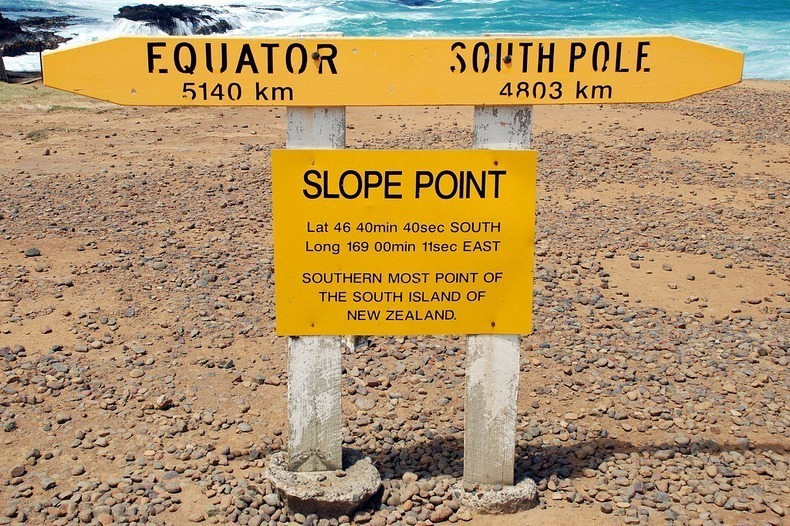 Slope Point is the most southern point of New Zealand’s South Island. 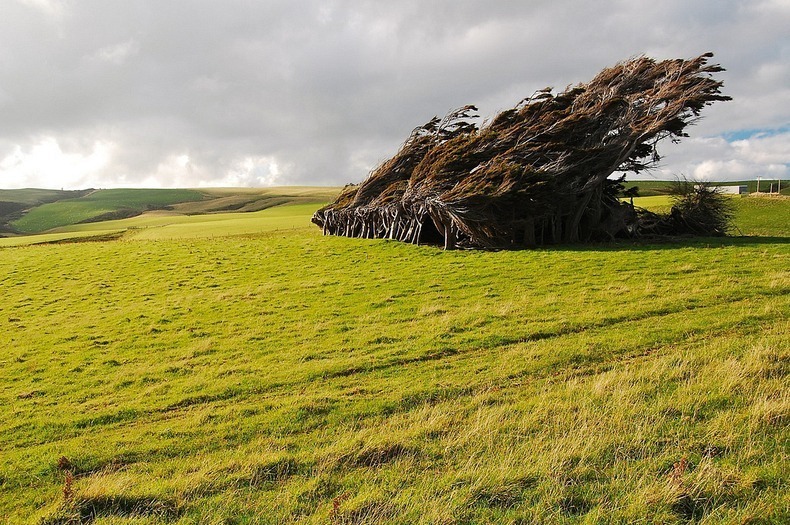 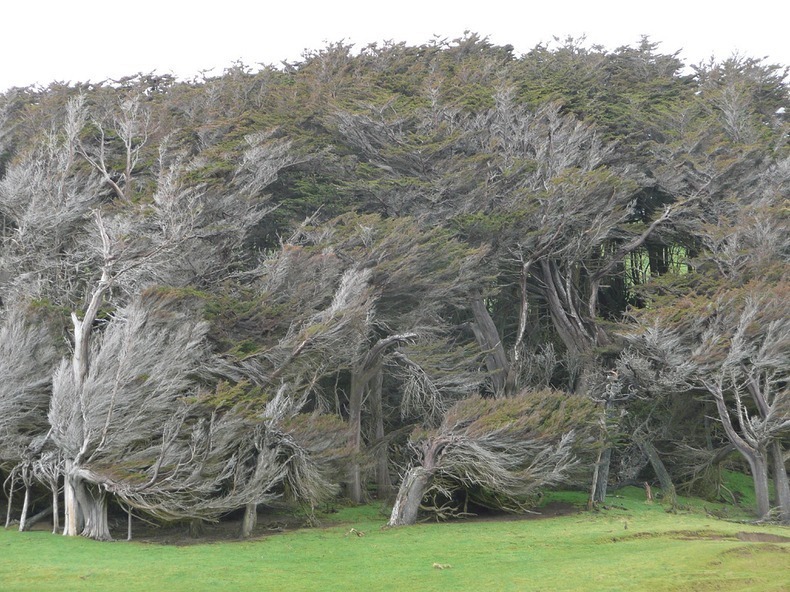 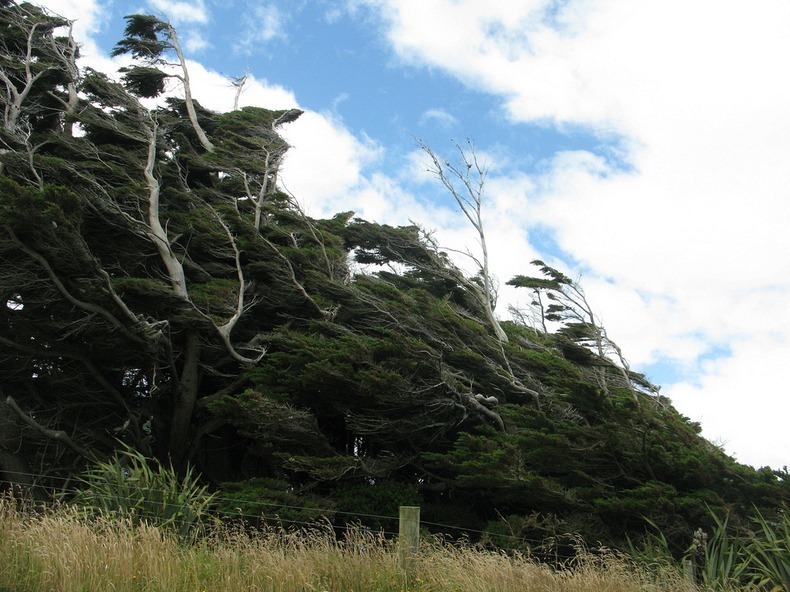 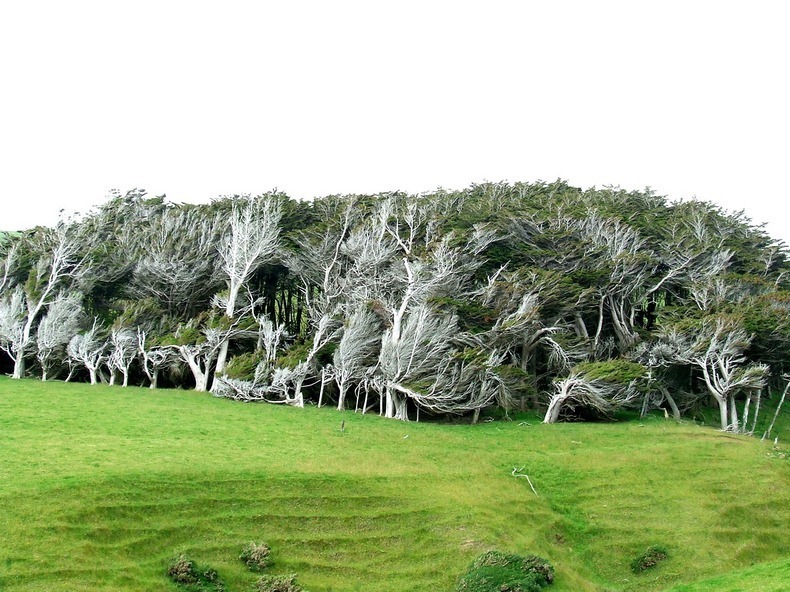 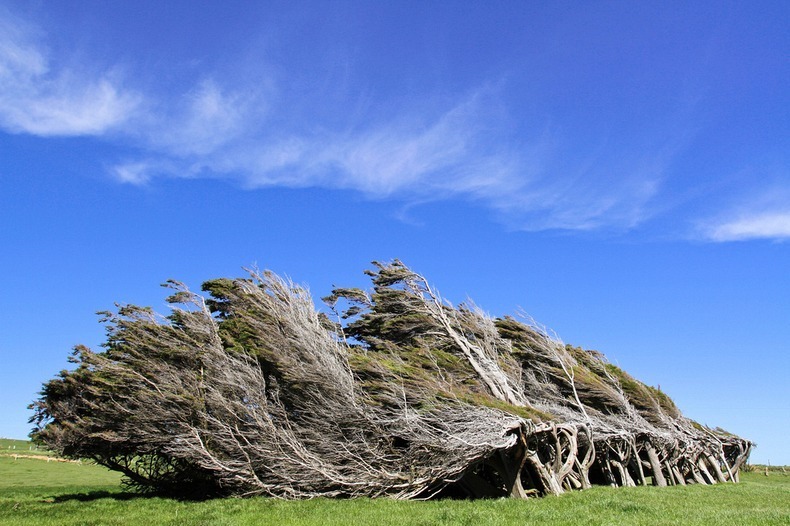 The region is consistently lashed with fierce and cold southwesterly winds that blow up from Antarctica. 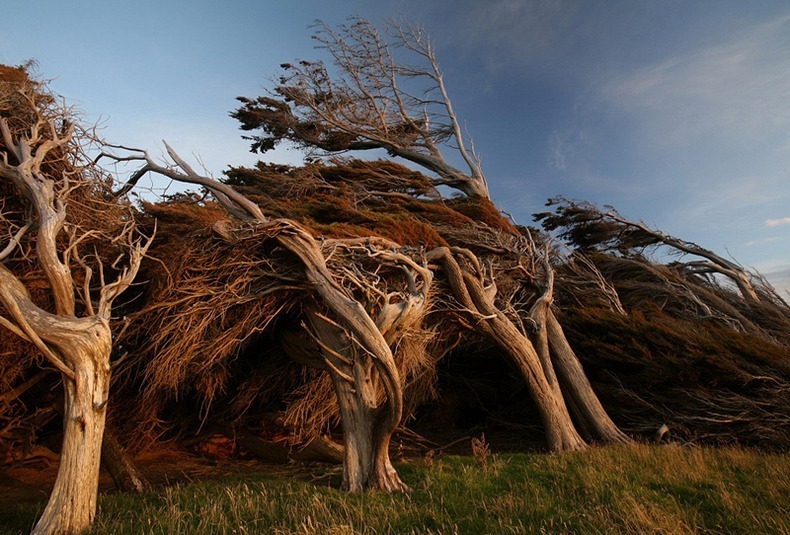 The wind here is so intense and relentless, that the trees are twisted, warped and forever bent along the direction the wind blows. 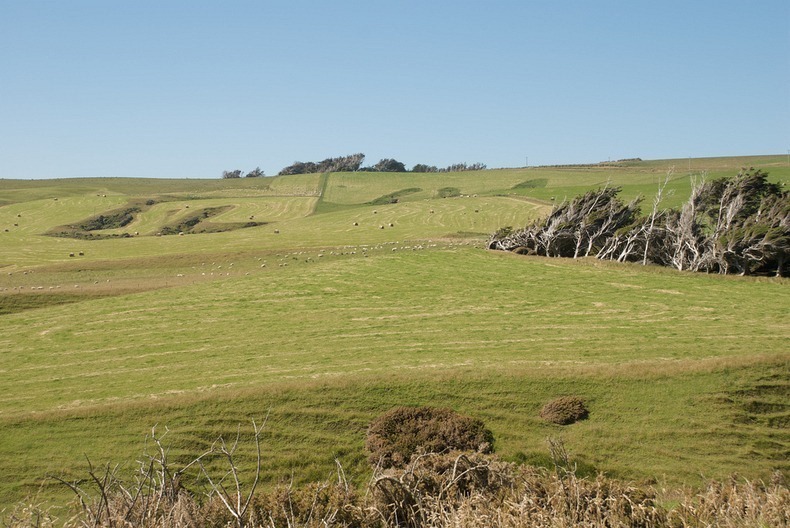 Slope Point is predominantly used for sheep farming, and aside from a few sheep, no humans or other animals live on this part of the island. 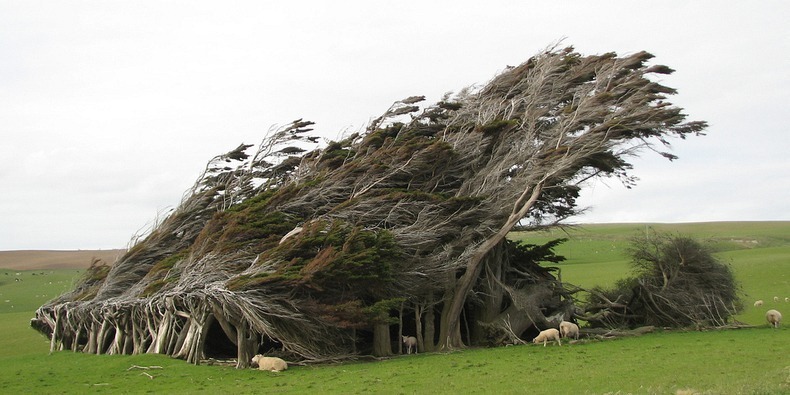 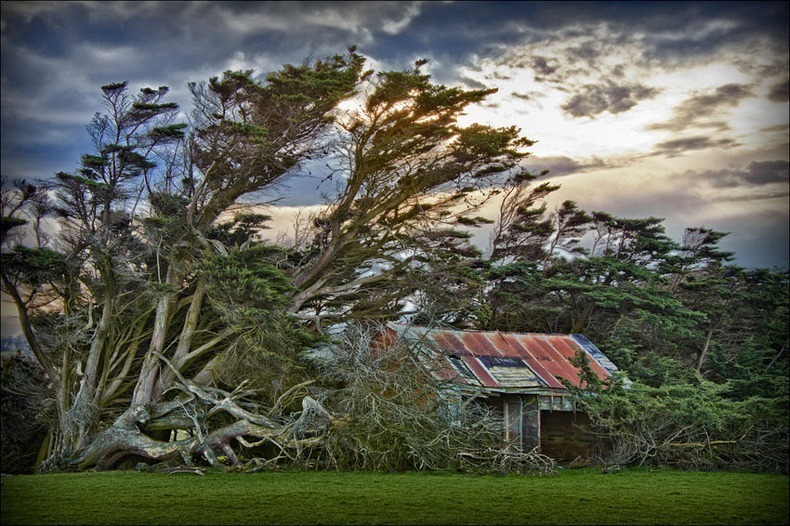 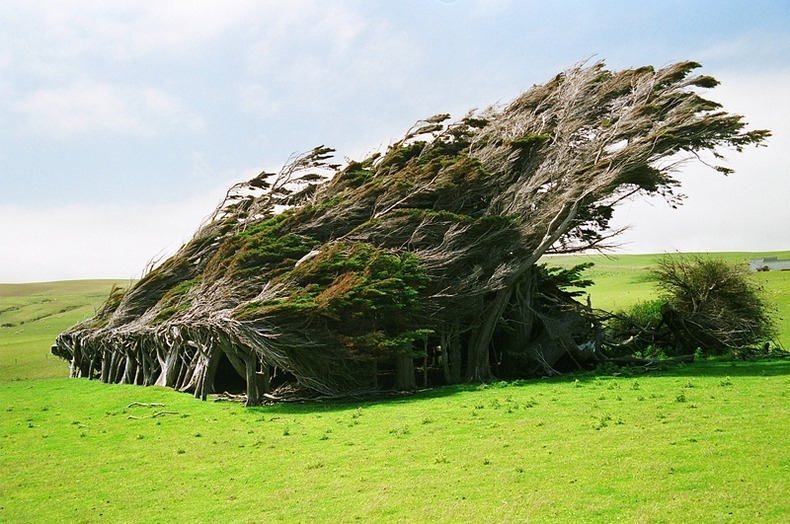 There are a few derelict shacks built under the protection of the windswept trees, but even those are abandoned.